Custom outdoor hot tub/deck design. 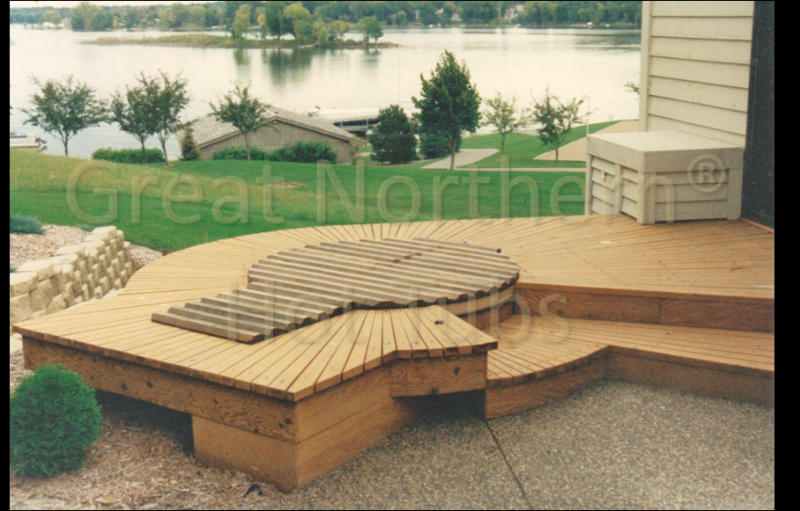 Great Northern's unique Roll-Up® Cover flush with the deck is walk-on strong and visually compatible with decking pattern. Notice how the extended-length tail on the cover allows it to be rolled up past the tub edge to provide more useable deck area for seating. Deck design by McPete Drafting and Design.